A wide spectrum representing civil and political society – politicians, religious dignitaries, academics, artists, professionals, media persons, trade unionists, civil society activists and students- voted for the Common Candidate on one main issue, namely, the abolition of the executive presidency based on appeals by Ven. 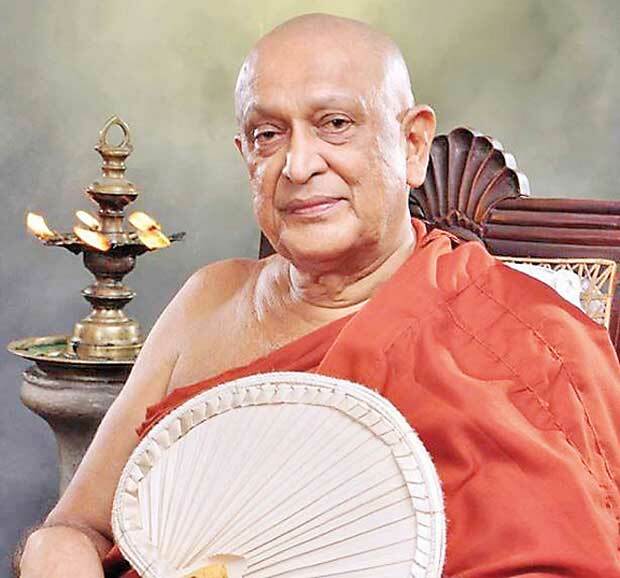 Maduluwawe Sobitha thero of National Movement for Social Justice (NMSJ), who sought a return to parliamentary form of government. 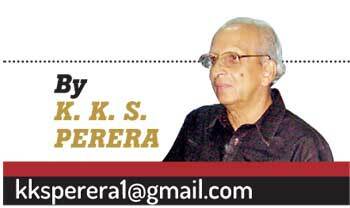 Horata Pera Muttiya… a trial balloon? At the end of his second term in end 1988, JR was toying with the idea of using his 5/6 in a third attempt; he used two of his lieutenants to go public ‘demanding the boss to consider their earnest request’, but was compelled to drop the idea considering negative intelligent reports based on 88/89 terror period which marked killings of civilians, destruction of national assets and unspeakable atrocities committed against humanity - in one of nation’s darkest phases . The people identified not only the muttiya, but the hand that pushed it. CBK, sans a 2/3 majority had a desire in mid 2004, of extending her term as an ‘executive prime minister’ with or without a referendum in early 2005. Tsunami, the immense natural disaster that killed over 30,000 people and displaced nearly 500,000, created a deep psychological impact. P-TOMS followed destroying her ambitious schemes. 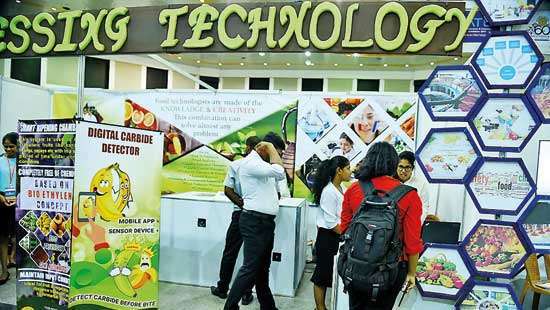 Mahinda, who was brimming with confidence was successful in pushing through the legislature the necessary amendments but the voter had other ideas. "Ranil Wickremesinghe with former LSSPer, Jayampathy Wickremeratne PC, drafted the 19th Amendment vesting all powers in the Prime Minister. The PM was to be the head of government, but the other stake holders did not agree to this move"
Junius Richard Jayewardene, the architect of Executive Presidency was asked what he thought on CBK’s pledge to JVP in November 1994, assuring the abolition of Executive Presidency, the ‘old fox’ described the promise a faux pas. In the past, abolition of Executive Presidency has been soberly undertaken prior to elections by every prospective candidate and manifestly discarded afterwards. CBK made a pledge in writing to JVP assuring the abolition of Executive Presidency before 15th July 1995. Janatha Vimukthi Peramuna withdrew its presidential contender to ensure her victory. 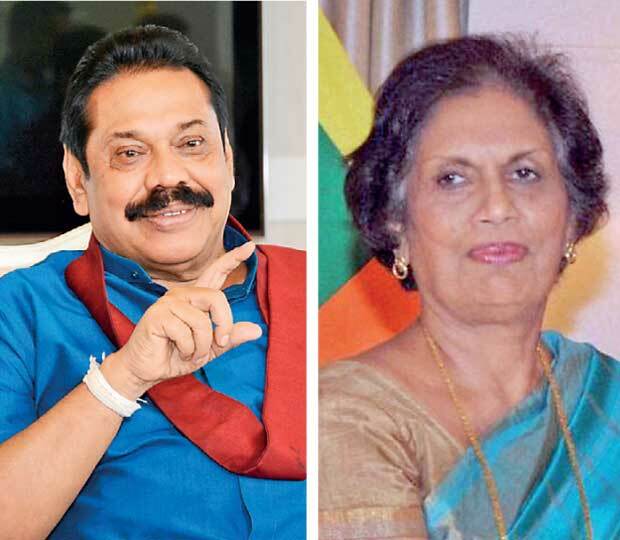 ‘Ingenuous lady’ Chandrika Bandaranaike Kumaratunga, the daughter of two Prime Ministers, who succumbed to indigenous political wisdom not only remained in the position until the end of her six-year term, but had the audacity to backtrack on the promise and contest a second term as well. The gullible but compassionate Sri Lankans did cast a sympathy vote for the wounded lady who survived a terrorist bomber to be back in the ‘hot seat’ for a second term. However, CBK used all the Executive powers for two terms; she even misused her powers in numerous ways especially during her last two years in office. Ranil Wickremesinghe with former LSSPer, Jayampathy Wickremeratne PC, drafted the 19th Amendment vesting all powers in the Prime Minister. The PM was to be the head of government, but the other stake holders did not agree to this move. Therefore they pruned down some powers of the President and left some behind. “A strong executive seated in power for a specific period, not subject to the whims and fancies of an elected legislature will not be afraid of taking correct but unpopular decisions. This seems to me a very necessary requirement in a developing country faced with grave problems.”- JR as Minister of State. The combined powers of both the legislative and the executive which fused into one distinct being in the 1978 Constitution - was a noteworthy change from the Westminster form that we have been following, which defined the ‘separation of powers’ of head of state known as President and head of government, the Prime Minister. "Junius Richard Jayewardene, the architect of Executive Presidency was asked what he thought on CBK’s pledge to JVP in November 1994, assuring the abolition of Executive Presidency, the ‘old fox’ described the promise a faux pas." The cabinet on March 15, 2015 decided that the Presidency needs to be reformed on certain features, including the term limit back to two, period of presidency to five instead of six, and powers on the dissolution of parliament only after four and a half years. The Westminster system clearly says, the PM cannot take a particular decision without the approval of the cabinet, and then for parliament for a debate if the cabinet fails to pass it unanimously. 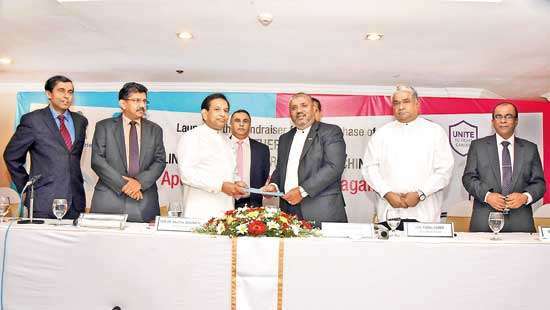 "President Maithripala Sirisena promised to implement a 100-day reconstruction programme where he pledged to restructure the executive branch within 100 days if elected, by strengthening the judiciary and parliament, to fight against corruption and to investigate allegations of war crimes, repeal the 18th Amendment etc." There are three schools of thought, all with divergent views on the Presidency; some wants to continue it in its present form; they think proper implementation of growth strategies can be more competently apprehended under an executive President. Second school professes total abolition, and a third believes in a few more amendments. The opponents of the executive presidential system would argue that there is a concentration of governmental power in a distinct individual at the expense of Parliamentarians, but even under the parliamentary system, the head of the state PM becomes a virtual autocrat with declaration of an emergency. The prospect of being held answerable will prevent the Executive President from being disrespectful of the law of the land. Further there are provisions for the impeachment of the Executive President while in office; of course, under specific criteria. 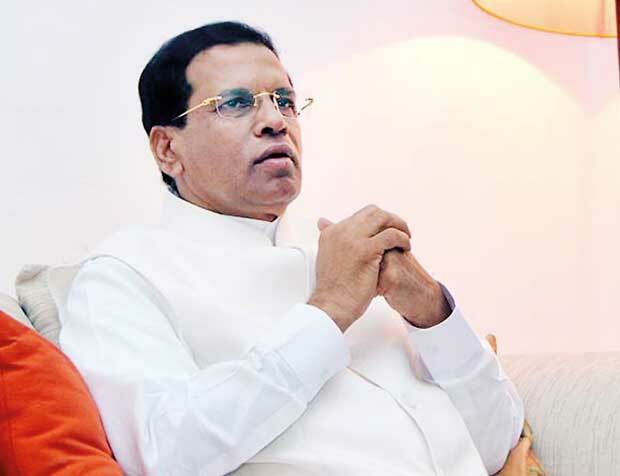 President Maithripala Sirisena promised to implement a 100-day reconstruction programme where he pledged to restructure the executive branch within 100 days if elected, by strengthening the judiciary and parliament, to fight against corruption and to investigate allegations of war crimes, repeal the 18th Amendment etc,. The reality has been that anybody elected to that all-powerful position having powers to do anything but change man into woman and vice versa will be averse or unable to renounce those powers. 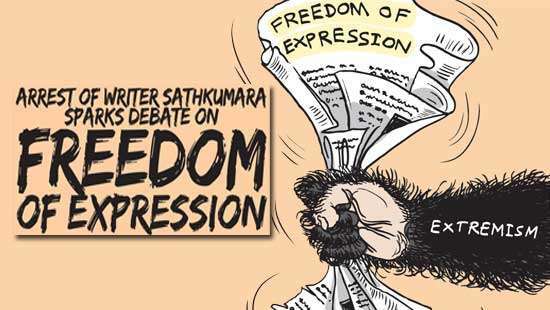 However, the President who kept mum on the issue should not give lame excuses to the people quoting his party’s CC - and if the SLFP is unable or not willing to stick to the pledge they had made before January 8, then they should go before the people for them to decide. "Under the JR Constitution, the President was elected by people, therefore it was argued that vesting this power with an outside authority was a breach of people’s sovereignty."